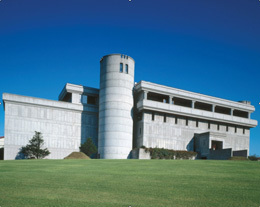 Allow us to introduce you to the famous wineries of Hokkaido. Hokkaido isn't as badly affected by the rainy season or typhoons as the rest of Japan, the humidity is relatively low, and the temperature difference between day and night is intense. 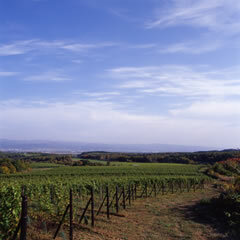 Hokkaido's wine is grown in a terroir only in cold climates where the four seasons take place. In fact the climate is very suitable for the cultivation of European grapes.Hokkaido is Japan's production center of the vinifera, a kind wine grape. 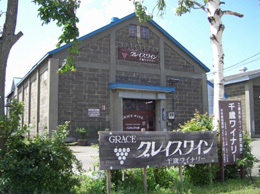 Hokkaido is located between 42 and 45 degrees north, however it is actually in the subarctic climatic zone of grape cultivation classifying it as region I. This is similar to Northern Europe, around 49 degrees north. This is a cold area in terms of grape cultivation. Other areas included in Region I are Germany, the Champagne district in northern France, and the Alsace district in the German French border area. 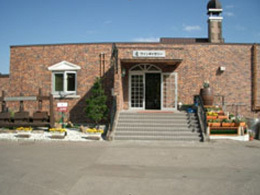 In Hokkaido, wine making is one of the agricultural industries. 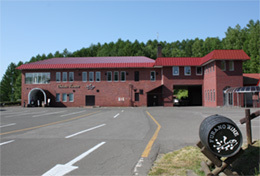 Although Hokkaido's wine making history is about 50 years behind Yamanashi, since the winery in Tokachi was established about 50 years ago, wine in Hokkaido has the spirit of Hokkaido, pioneering and challenging, infused into it, and the international and domestic technological advances have shaped it. 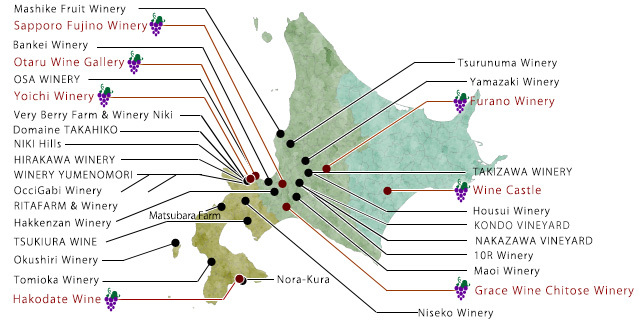 with the advances in technology and rich personality of its flavor, Hokkaido wines attract world wine fans. 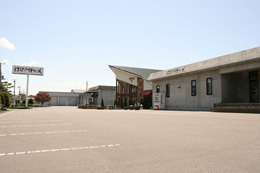 In this way, the wine of Hokkaido is where natural conditions, and high quality techniques are set, and an attention to detail goes up. 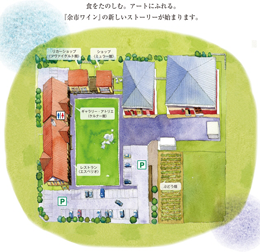 Please view this winery information, and enjoy the wine of Hokkaido. ■Purchase at the New Chitose Airport. ■Purchase at Sapporo JR Station. It is a rich sweet white wine with an enjoyable fragrance of sweet edible grapes. 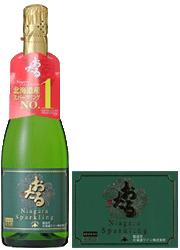 It is popular for women with its fruity taste and low alcohol of 8%. A sparkling wine with a simple sweet taste and Muscat grape fragrance reminiscent of Asti spumante. A gentle dry sparkling wine with a sweet fragrance like an acacia or orchid, refreshing acidity and bitter sweetness of citrus fruit. Fruit taste and bitter sweetness of the citrus fruit similar to the fragrance of grapefruit and white flowers, it is a dry white wine with a northern country style elegantly acidic aftertaste. The special characteristics of this wine are the fresh flowery fruity aroma of Muscat and white peach and the refreshing lime and herb flavor. Please enjoy the fragrance of the refreshing acidity. A wine with a sweet taste and low alcohol content, it's very easy to drink and is our most popular item. It is a white wine that has a feeling of dignity with a profound taste hiding in its gentle sweetness similar to a German wine. It has a smooth taste that is easy for anyone to drink, a standard red wine suitable for the tastes of the season. An apple after crushing, by dipping the fruit juice off of all the skin, the manufacturing method involves extracting a lot of the existing fragrance and ingredients from near the skin of a fruit. From this you can taste it as if you are biting into a freshly picked apple. 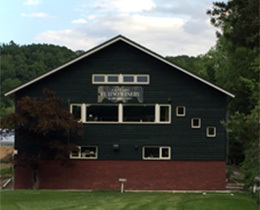 A slightly dry wine characterized by a faint aroma of the barrel and robust flavor. A wine with a body characterized by a gorgeous matured fragrance and rich tannin flavor. 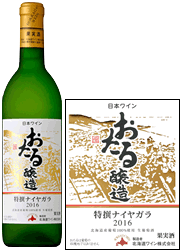 An original wine made from select grapes, Kiyomi citrus type, in Ikeda. Selling sparkling wine prepared using the same production method as French champagne for the first time in Japan.